Tribeca Film has released the first trailer and poster for The Comedy, director Rick Alverson's character study starring Tim Heidecker. The story centers on Swanson (Tim Heidecker), a man who begins to test society's behavioral constraints just before he inherits his father's estate. Take a look at the one-sheet and the first video, also featuring Eric Wareheim and Neil Hamburger. On the cusp of inheriting his father's estate, Swanson (Tim Heidecker, Tim and Eric Awesome Show, Great Job!) is a man with unlimited options. An aging hipster in Brooklyn, he spends his days in aimless recreation with like-minded friends (Tim and Eric co-star Eric Wareheim, LCD Soundsystem frontman James Murphy and comedian Gregg Turkington a.k.a. Neil Hamburger) in games of comic irreverence and mock sincerity. As Swanson grows restless of the safety a sheltered life offers him, he tests the limits of acceptable behavior, pushing the envelope in every way he can. 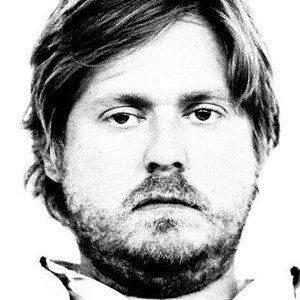 Heidecker's deadpan delivery cleverly masks a deep desire for connection and sense in the modern world. The Comedy wears its name on its sleeve, but director Rick Alverson's powerful and provocative character study touches a darkness behind the humor that resonates with viewers long after the story ends.